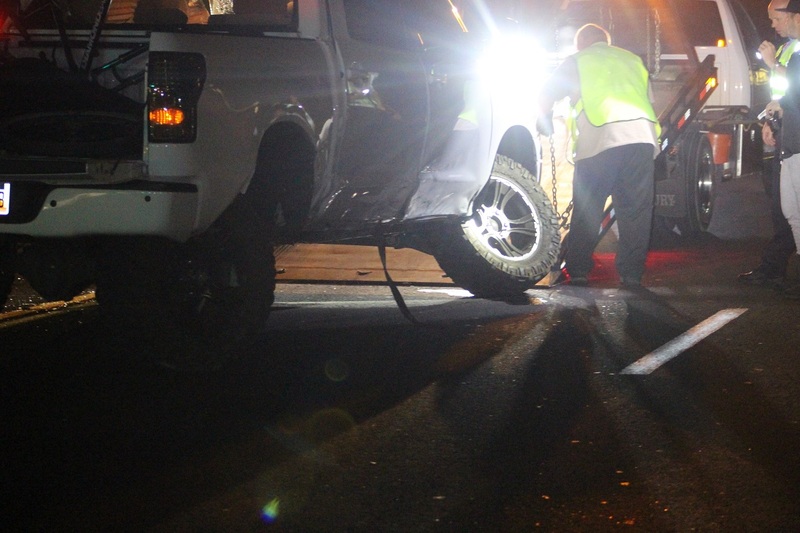 ST. GEORGE — A vehicle rollover on Bluff Street in St. George Sunday night was allegedly caused by a driver who ran a red light and then struck an oncoming truck, police said, noting that impairment may have contributed to the incident. Just before 9 p.m. Sunday, officers and emergency personnel were dispatched to the rollover near the intersection of South Bluff Street and West 700 South. 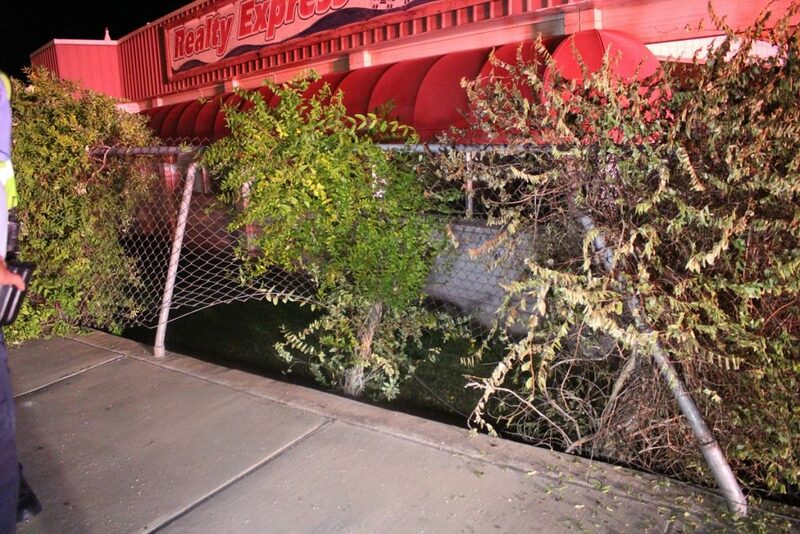 St. George Police found a dark Saturn four-door smashed into a chain link fence nearly 10 feet off the roadway, police Sgt. Spencer Holmes said. 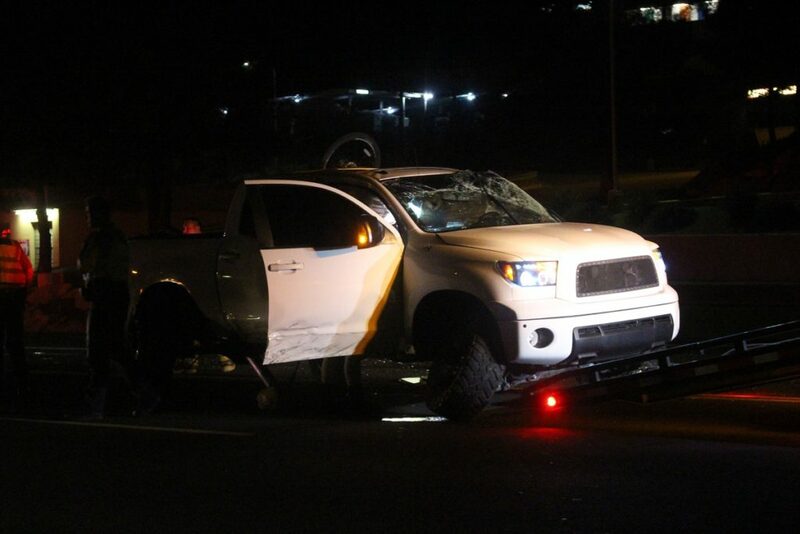 A white Toyota Tundra was in the middle lane of Bluff Street, more than 40 yards north of the intersection. 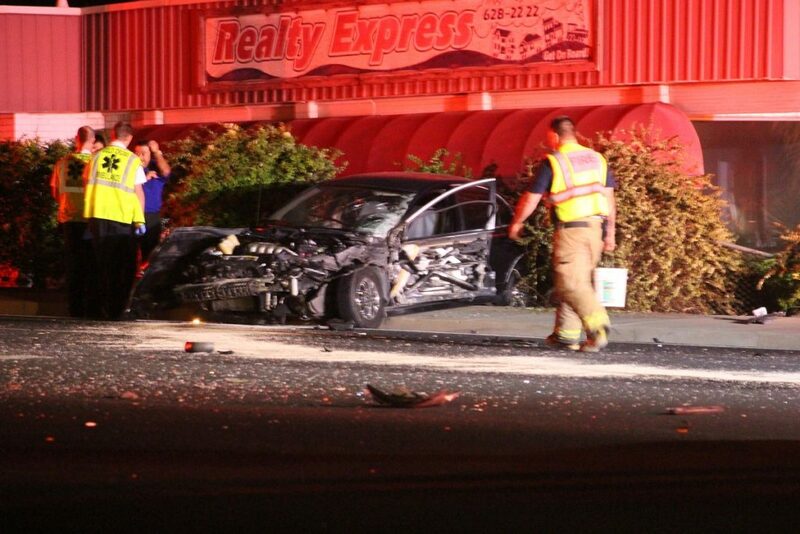 Four people walked away with what appeared to be only minor injuries. 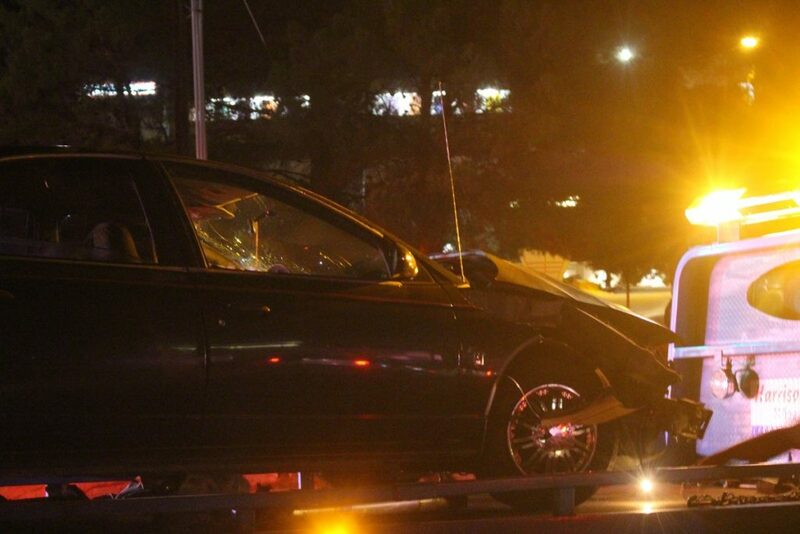 Occupants of both vehicles were checked at the scene by EMTs and reported no serious injuries, Holmes said. One passenger from the Toyota had a minor laceration to her forehead that was treated at the scene; she declined transport to the hospital. During the preliminary investigation, police concluded the Toyota had been heading north on South Bluff Street through the intersection at 700 South where the Saturn failed to stop at a red light, Holmes said. The Saturn passed directly into the Toyota’s path and struck the front passenger side of the truck with enough force to send it flipping end over end several times before it landed in an upright position more than 40 yards from the point of impact. Officers began investigating the possibility of impairment as a contributing factor after the Saturn driver showed signs of intoxication, Holmes said. The investigation into the incident is ongoing and thus only limited information on possible citations or charges was available Sunday night. Traffic on South Bluff Street was completely blocked initially and debris was strewn over a wide area. Officers diverted northbound traffic into one of the southbound lanes, closing West 700 South completely to allow responders to clear the wreckage and tend to the crash scene. 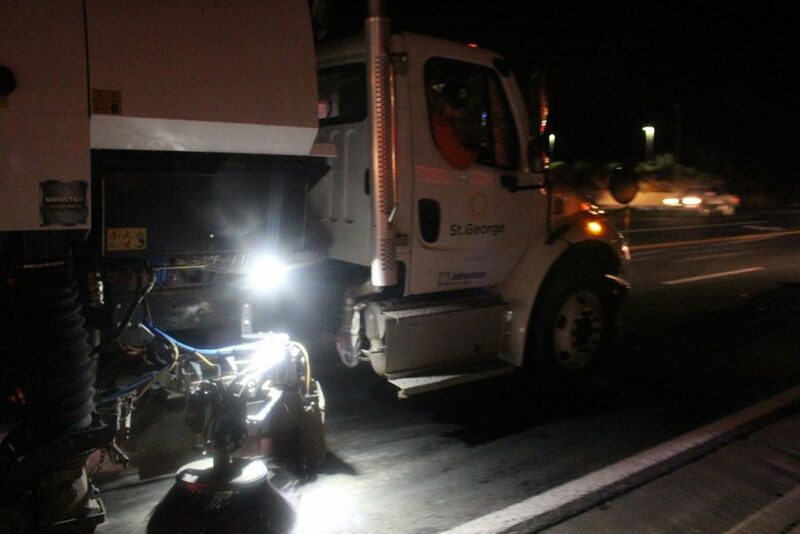 A St. George city street sweeper was also dispatched to the intersection to clear shattered glass and debris that covered several square yards of roadway. Both vehicles sustained extensive damage and were towed from the scene. St. George Police, Fire and city personnel responded to the scene, as did Gold Cross Ambulance. This report is based on preliminary information provided by law enforcement and may not contain the full scope of findings. Persons arrested or charged are presumed innocent until found guilty in a court of law or as otherwise decided by a trier-of-fact. then there are 2 accidents ( actual red light runners who missed an accident unknown ) in 1 day . St George needs intersection cameras to start busting / ticketing these anarchist drivers with Huge fines . I’m on the fence on this one. My understanding is that with the ‘red light cameras’, you end up with a bunch of paranoid drivers that slam on their brakes when they really didn’t need to, resulting in an increase of rear-end accidents, something we have enough of already. Red light and speed enforcement cameras are great and all, but they are illegal under Utah State Law, at least in stand alone form. For the cameras to be legal they can only be placed in School Zones or areas where the speed limit is 30 MPH or less. There must also be a Police Officer physically with the camera unit when it is in use. Citations from such cameras only result in fines and do not count for points against the driver’s license. All this information brought to you courtesy of the Utah State Code, ksl.com, and the Insurance Institute for Highway Safety. St George RealLowlife Dumbob drivers color blind and illiterate ! Had a 5.3 earthquake here last night…we have more earthquakes a year than car accidents in St. George. Y’all know that’s a lot. Stop the fracking!